Over the past few years veterinary X-rays have become far more powerful and useful than ever before, principally because they can now be taken digitally and displayed on a computer. This means that your veterinarian can quickly take a highly detailed image and then manipulate it to gain a better view of your pet's bones and internal organs. As a result, a wide range of medical conditions can be diagnosed with greater speed and accuracy than ever before. Because Aviara Animal Health Center believes that pet owners throughout San Diego County, California deserve the best possible care, we have a state-of-the-art digital Veterinary X-ray machine. For complex cases, we are able to easily share these images with a board certified radiologist. 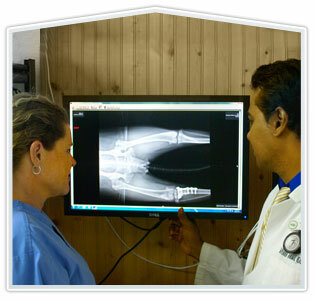 Digital x-rays can be saved to a disk and given to you as part of your pet's home medical record. Images can be quickly shared via email to specialists when a second opinion or additional diagnosis is needed. Your pet's time on the X-ray table is reduced because fewer images need to be taken. Digital X-rays eliminate the need to use toxic chemicals in the film development process, decreasing the risk of exposure to our staff and the environment. Ultrasound is a very important diagnostic tool because it allows your veterinarian to gain a very precise look at your pet's internal organs, chest and abdomen without surgery or sedation. In particular, ultrasound is invaluable for making treatment decisions for various types of heart disease, assessing the function and health of internal organs, and identifying lesions, determining their origin and if they have spread to other areas of the body. Ultrasound is also a very powerful surgical aid, helping guide your veterinarian while obtaining a biopsy or removing a foreign object from your pet. In most cases, the procedure is relatively brief (less than an hour) and your pet is able to go home the very same day. Most importantly, though, your veterinarian will be able to make a highly accurate diagnosis of your pet's condition and provide effective treatment recommendations. 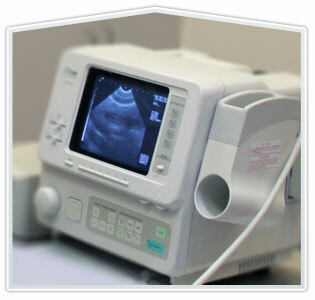 At Aviara Animal Health Center we offer cardiac, abdominal, biopsy-guided, and routine ultrasounds. Reducing pain and promoting healing is one of the medical team's top priorities. To that end, we have invested in a class IV therapeutic laser, which we use on patients following surgery or an injury and to help manage a range of chronic and acute conditions. K-Laser therapy is a painless FDA approved medical procedure that uses low-level lasers to stimulate the natural healing capabilities of the body's cells. This form of laser therapy is effective at promoting healing on a cellular level as well as decreasing inflammation after surgery, injury or areas of the body affected by chronic illnesses such as arthritis or acute conditions such as otitis. It can also be used to increase joint mobility and relieve the aches and pains common to geriatric pets. What Conditions Does Laser Therapy Treat? One of the most important aspects of any preventative medicine regimen is the ability to analyze how well your pet's internal organs and processes are functioning. For example, are the kidneys and liver doing their jobs at removing waste from the blood stream? Does your pet have internal parasites? Is a growth on your pet's skin benign? Laboratory testing allows your veterinarian to gain a view inside your pet's body in order to assess overall systemic health without the need for invasive and expensive procedures. This is why Aviara Animal Health Center maintains an in-house laboratory and regularly tests your pet during wellness exams or when we suspect your pet may have a health issue. 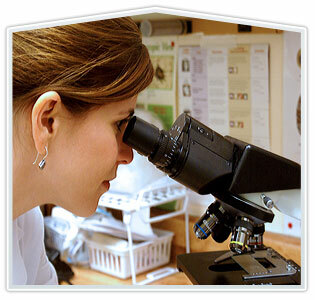 Our laboratory allows us to perform urinalysis, parasite identification, fungal cultures, blood chemistry testing, and more. In some cases, we can receive results within minutes. We will also perform lab testing prior to procedures that require anesthesia so that we can be sure your pet will not have an adverse reaction.